As we continue to work through the impacts of Hurricane Michael, we hope you and your loved ones fared well and remain safe. Here are answers to the top questions we are receiving. See below for answers to more commonly asked questions. Get 2-3 repair estimates for the adjuster to review, including their preferred vendors. Send photos of damage, including photos before damage if possible, to adjuster. Create a list of damaged property, including description, cost and receipt if possible. Keep damaged property for the adjuster to review – some policies, such as flood insurance, require that you retain damaged property for an inspection. While you may wish to remove the soggy carpeting so mold doesn’t develop, refrain from having the damaged items hauled away until the adjuster approves doing so. Keep a detailed journal of your emails, calls with insurance companies and adjusters so you can proactively manage the process. Take photographs of the following: the outside of the premises showing the flooding and the damage to the building and the water lines of the exterior and interior of the building using a tape measure showing the height of the water in and around your building. How do I prevent fraud? Unfortunate events like natural disasters create a target-rich environment for criminals, fraudsters and scammers to exploit the event. During the aftermath, you should keep your guard up and maintain a healthy dose of skepticism. Beware of anyone who knocks on your door offering to fix storm damage, especially if they want money up front. If someone contacts you and asks for your personal information, be suspicious, no matter who they claim to be or why they say they need the information. Beware of those claiming to be FEMA endorsed: FEMA does not certify or approve contractors. If someone comes to your door claiming to be from the government, the power company, or your insurance company, ask to see their official photo ID. Do not be fooled by hats, clothing or vehicles with logos. Don’t rush into decisions. If it’s a legit organization, they won’t care if you need time to think about whether you will utilize their services. Scammers will pressure you to decide on the spot, citing various reasons they won’t be able to offer the same opportunity even an hour later. Saying, “Let me run this past my attorney,” will usually stop them in their tracks. Don’t divulge personal information. Don’t sign a written document until you’ve thoroughly vetted it and beware of Assignment of Benefits where the vendor has the right to make a claim against your homeowner policy. Report all post-disaster scams to the National Center for Disaster Fraud. If you have a claim to report, the fastest and recommended approach is to contact your insurance company directly. However, the Affordable Home Insurance team is also here to help. You can reach us on our storm hotline at 850.308.5199. The most common insurers are listed below. Access our full contact here. For storm tips as we weather the storm together, follow Affordable Home Insurance on Facebook . Once you've returned to your home it's important to take photos of damages and submit claims in a timely fashion. Document: Take photos to document damage if you have a claim. Take precautionary measures: One of the most important things you can do is to prevent further damage. If you have damage, make sure your property is secure, board broken windows, dry carpets and tarp or board damaged roofs. Don’t attempt any major non-emergency repairs until the adjuster can see the damage. Take photos of damage. Keep receipts of emergency supplies and temporary accommodations. File the claim with your insurer: Claims are handled in the order they are received so getting the claim reported to the insurer is key. If you are not in the area, be sure to check with local government resources and/or FEMA to determine if it is safe to re-enter the area. We are expecting high call volumes. If possible, call the insurance company directly to avoid delays. Click here for the list of insurer phone numbers. I need to report a claim. What information will I need? Your full name, location of the property, policy number, effective dates of the policy, date when damage first occurred, type of property damage, cause or causes of the damage, your contact information. What information will the insurer need to settle the claim? Receipts for emergency expenses, copies of all repair estimates and bills, documentation of all damage. Do not throw anything away until the adjuster has told you it is safe to do so. What is a hurricane deductible? Most Florida homeowner policies include a hurricane deductible, which is usually calculated as a percentage of the policy’s dwelling coverage. The hurricane deductibles is the amount paid by you, the named insured, before the insurance company will pay anything on a covered claim. If I file a claim, will my rates be raised? Will my policy be cancelled? A hurricane is an “catastrophe event.” Your rates will not increase due to the claim and your policy will not be cancelled because you filed a hurricane claim. However, we have seen rate increases overall due to the severe 2017 catastrophe year (hurricanes, flooding, wildfires, and mudslides). If I make temporary repairs to my home, will I get reimbursed? In the event that covered property is damaged by a covered peril, most homeowner insurers will pay the reasonable cost for necessary measures taken solely to protect against further damage. Do not wait until a claims adjuster arrives to make temporary repairs that will prevent further damage. Be sure to save all of your receipts from purchases related to your repairs. I lost food when my power went out; is this covered? There is often limited coverage for food stored in freezers or refrigerators on the “residence premises” on most homeowner policies. I have debris on my property; will my homeowner policy pay to remove it? It depends. There is coverage available for debris removal of covered property resulting from a covered cause of loss, subject to the terms and conditions of your policy. Most homeowner policies have limited to no coverage for fallen trees in the yard. My home has been damaged by the hurricane and is unlivable, will the insurer pay for the additional incurred expenses? If you return home and find your home unlivable due to damage that’s covered by your policy, then additional living expenses are covered in accordance with the terms and conditions of your policy. This coverage is subject to your hurricane deductible or other applicable deductible. If your home is unlivable due to flood, FEMA does not afford additional living expenses under a primary flood policy. Will my insurer pay for expenses if there was a mandatory evacuation? Expenses incurred for a mandatory evacuation due to a storm are generally not covered but each policy has different terms and conditions. Please check with your individual insurer. How long does it take for the claim to be paid? The length of time to pay a claim varies on the amount of damage and the number of losses associated with the disaster event. The sooner you have the documentation and information, the faster your claim will be settled. What am I required to do after the storm as I live out of state and will not be able to get to the home immediately? Ask a neighbor or friend to walk the property and take interior and exterior photos for your review. We recommend reporting the claim as soon as possible and visiting the property as soon as possible to determine extent of damage. How do I qualify for disaster assistance? Visit the website https://www.disasterassistance.gov/ to learn more. Please remember that the information contained on this website is general in nature and that coverage under any specific policy of insurance will depend upon the terms and conditions of that policy. This is not a summary of coverage nor should it be interpreted as such. Please refer to your policy for the exact policy terms and conditions afforded. Are you unable to get back to your property? Click here to see the satellite aerial view of the damage. If you discover water in your home, contact a restoration company immediately to begin the water extraction process. Run the air conditioner to dehumidify your home. Remove any wet items and store them in the garage, if possible. Call your insurance company immediately to report how, when and where the loss or damage occurred. Have your policy number handy and give them a general description of damages. Often misused, signing an AOB can lead to harmful consequences for the homeowner. Assignment of Benefits (AOB) is an agreement that, once signed, transfers the insurance claims rights or benefits of the policy to a third party. An AOB gives the third party authority to file a claim, make repair decisions and collect insurance payments without the involvement of the homeowner. AOBs are commonly used in homeowners insurance claims by water remediation companies and contractors. Be aware that signing an AOB transfers your insurance rights to the company and allows them to collect money paid-out from your insurance company on your behalf. Always read the contract with a service provider to ensure it does not include AOB language. Call us to learn more or if you suspect you have signed a contract with AOB language. Access our claim line contact list by insurer here. 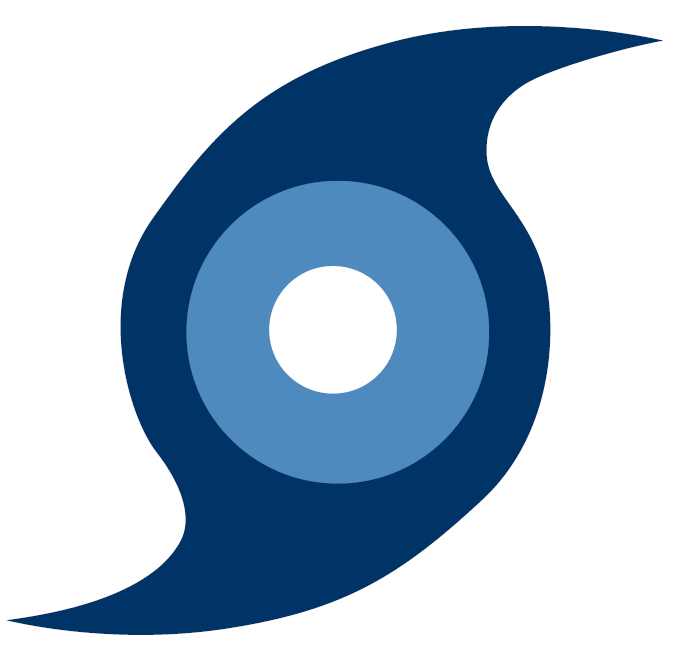 Florida Disaster Preparedness – Family Disaster Plans, Supply Kits, Statewide Emergency Numbers etc.